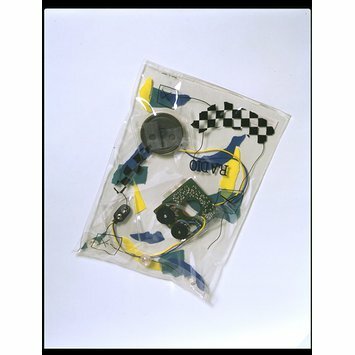 Radio in a Bag, transistor radio components in a printed plastic (PVC) bag, 29 x 20.7 x 3 cm. 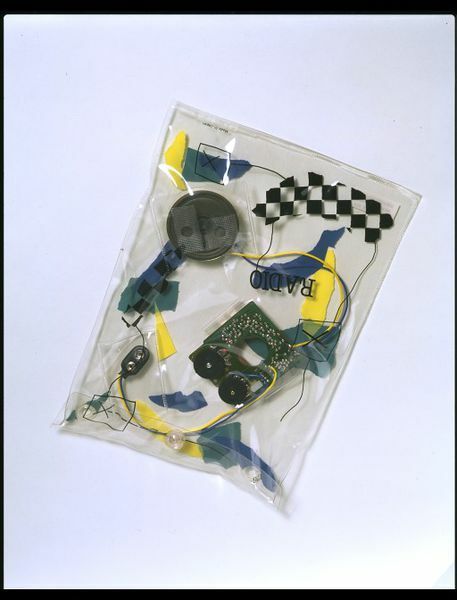 The flexible and transparent bag features the radio's scattered components as the object's decoration. The working parts of this transistor radio are displayed as ornament. 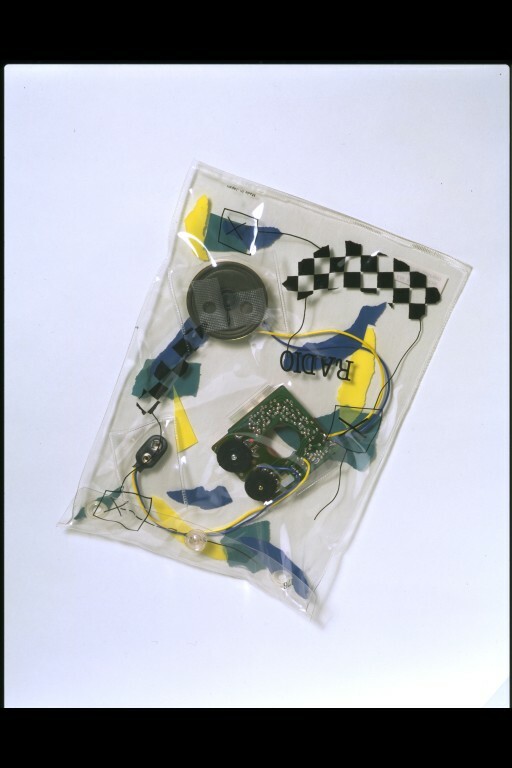 The traditional hard, protective case of the radio, which hides its components, is replaced with one of flexible, see-through PVC. It is constructed as an envelope, so all the parts are easily accessible for repair. 10,000 were made. They were sold mainly in Japan within a year.